Audrey Niffenegger’s Self-Portraits: Fiction or Autobiography? “The self-portrait is like writing in the first person…There are a variety of ways to use it,” Audrey Niffenegger has said. Within NMWA’s Niffenegger exhibition, Awake in the Dream World, the States of Mind gallery offers up a great many versions of the artist, from a graphite-and-ink sketch as Rembrandt’s wife to a vibrant portrait as a monstrous Medusa. These varied self-portraits document Niffenegger’s shifts in feeling and mood as she uses her own body as a cipher to assume new and different identities. Self-portraits often function as an avenue for artists to expose their fears, insecurities, and desires; Frida Kahlo’s portraits, for example, are famous for their deeply personal and revealing nature. Niffenegger, however, does not always approach her self-portraits from an autobiographical standpoint. Rather, these characters allow the artist to play dress-up; to assume an identity she would never otherwise experience. In 2005’s Bad Fairy, Niffenegger presumably transforms herself into a magical creature. Yet, looking into this small oil painting, the portrait is neither fantastic nor supernatural. Instead, Niffenegger portrays herself with aging lines across her forehead, neck, and around her mouth. The artist’s vibrant red hair is worn loose over her shoulders, with a severe middle part. Around the crown of her head and down the part, graying roots are visible. 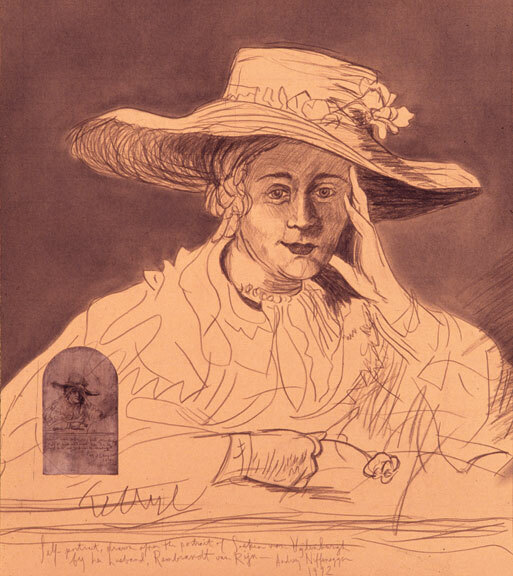 The messy style partially obscures her eyes, and her head is tilted downward, a sign wariness. Her eyes are cast up in an intense gaze, making her expression powerful and somewhat unnerving. 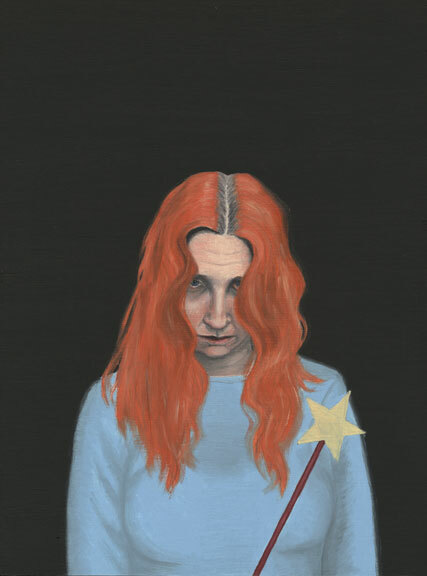 Why does the artist only include a small wand jutting into the foreground of the image, held by a phantom hand, as the sole demarcation of her magic? Though her depiction as a fairy is very subtle, almost ironic, the ominous dark abyss framing the figure definitively denotes an otherworldly realm. Niffenegger has, in fact, suggested that the Bad Fairy is her artistic persona—she shows herself here as an unwieldy creator of things that may hold danger and magic. Perhaps Bad Fairy, despite the character’s thinly veiled disguise, indeed reflects Niffenegger as her true self. As in many of her works, the artist directly confronts the passage of time and transient nature of life while, if only briefly, introducing an element of the supernatural. —Alee Petrucelli is a publications and marketing/communications intern at the National Museum of Women in the Arts. That’s the magic of art – you can transform yourself into anything you want to be. Think of it as historical photoshop. The artist who commissions the portraits back in the day would say, “I want to make my hair thicker, my teeth straighter, and my nose smaller. Hence a portrait that often looked much more beautiful than the poser actually was. I have two self portraits of female artist Miss Irlam Briggs (born 1867) and I believe they are a true likeness. I’m curious to know if the museum holds any Briggs’ paintings. Thanks for the great post.